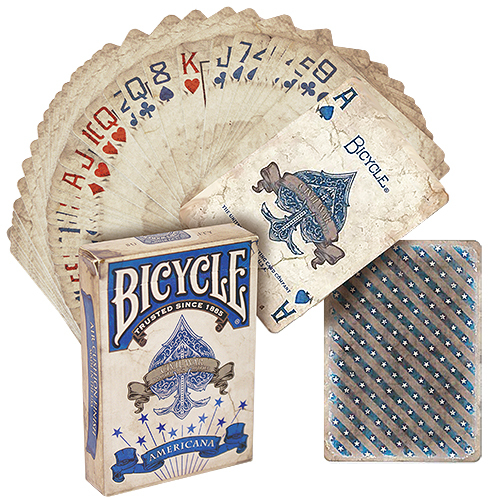 Bicycle Americana Playing Cards giving you the feel of the old west. This deck features custom backs, court cards and aces. The front has a weathered look and the deck has been finished in Bicycle's Magic Finish for improved handling and durability. • The cards are poker size and of the usual Bicycle quality. Αυτό το προϊόν προστέθηκε στον κατάλογό μας την Wednesday 03 August, 2016.